Once an Account is not serviced for 90 days and the Bank classified the Account as NPA, is it compulsory for the Bank to initiate Securitization Act? Yes. Though it is not compulsory under the lay, it is in the interest of the Bank that the situation may not go out of control, it is necessary for you to issue Securitization Notice to the borrower and guarantor, so that it will work as a pressure. Once the notice is given, if the borrower pays overdue installment dues with interest and charges within 60 days period of notice, whether Bank can normalize the Account? If the borrower pays over-due installments with interest and charges up to the date of their making the payment, there is nothing wrong in the Bank treating the Asset as Performing Asset, as Securitization Act does not say that it cannot invoke Securitization Act repeatedly for the same Account. If in the bank’s view, the party is genuine and they had genuine difficulty and they pay the money – overdue installment and interest and other charges, with a covering letter that they will not default in future, and thereby requesting the Authorized Officer to withdraw the notice, in our opinion, there is nothing wrong in regularizing the account; however, the Bank has to take a commercial decision in this matter.Authorized Officer is advised to take the Bank’s permission before treating the Account as Performing Asset. However, depending upon the party, you can even refuse to stop the proceedings unless entire amount with interest and charges are paid the Bank, as per the Securitization Notice. If during the period of 90 days before treating the account as NPA, a small amount is paid which is not servicing the overdue installments and interest & charges, whether Bank can accept the money and treat this account as NPA and issue notice under Sec.13(2) of the Securitization Act? Mere paying a small amount may be a mischievous act on the part of the borrower and unless the installment with interest & charges are not fully serviced for 3 months, the Account need to be treated as NPA. The very fact that he has not serviced the entire amount of installment and Bank charges for 90 days title the Bank to treat the account as NPA and Bank may issue notice under Securitization Act. However, since issuing Securitization Notice is not compulsory, administrative decision has to be taken, to be issued for a future date. How soon after expiry of 60 days should the Bank act to proceed and take physical possession of the Assets? 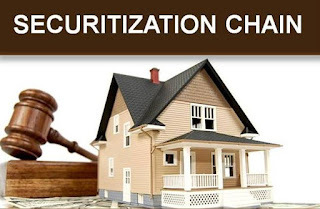 There is no such date given in the Securitization Act, but in case of movable properties, it is in the interest of the Bank to proceed forthwith and take physical possession after the expiry of 60 days notice period. If it is movable item, perishable, the Authorized Officer can forthwith sell and recover the money. Such recovered movable property must be taken care of and insured as a person of ordinary prudence would do if the material belonged to him. Insurance and other charges can be debited to the Defaulters Account. If the movable property is not likely to fetch sufficient money to even cover the cost of storing, the Authorised Officer may sell the same at once. What is the mode of sale of moveable property? It can either be sold by Public notice, newspaper or by calling for quotation from businessmen, who are dealing with such material and or by Private Treaty, but all those actions of the Authorised Officer must be transparent and the Principle of Natural Justice has to be followed. We have already explained in the earlier pares. When the notice under Sec.13 is not accepted by the borrower and guarantor, what should be done? If notices are dispatched at the last known address available with the Bank and if the notices come back with the reason: “Refused”, then if the notices is returned with the reason “Left” it is better that you must paste the notice or to publish it in two newspapers, one in vernacular language, then proceed with the matter after 60 days. If the Borrower and Guarantor are Registered Company, notice sent to Registered Address will be enough. Notices under Securitization Act can even be enough. Notice under Securitization Act can even be served by e-mail, fax and courier or by hand delivery. But, all these must be properly authenticated to show that in fact attempt has been made to deliver the notice. The best way of ensuring that notices are saved is to send by Registered Post A.D. and send a copy under UPC. Whether Authorised Officer can straight away go to the Borrower and take physical possession of the secured asset without the help of Judicial Magistrate or District Magistrate? Though in certain cases it can be done, but it is advisable to make an application under Sec.14 of the Act and once the Magistrate passes an order, Court Officers proceed to the site and by taking police help, they take possession of the secured asset themselves and then the officer of the Court will hand over the recovered charged property to the Authorised Officer. Hence, though physical possession is taken by the Court Officer, the Authorised Officer of the Bank must be physically present at the site while taking over of any of the assets charged to the Bank, by the Court Officer, as directed by the Magistrate. There is a fear that the Authorized Officer may be beaten up or ill-treated by the Borrower or guarantor? Since, taking of physical possession of the assets charged to the Bank is to be recovered by the Officer of the Court, with the help of Police; the question of any attack on the Authorized Officer does not arise. However, the Court officer’s along with the police must be accompanied by the Authorised Officer of the Bank to the site as after the Court Officers take physical possession of the property, the Authorised Officer should take charge from the Court Officer. Therefore, the presence of Authorised Officer is a must while taking physical possession of the property, and nobody normally dares challenge the Court Officer and Police. The Panchanama drawn by the Court Officer must also be signed by the Authorised Officer. While taking physical possession of the property, what all has to be ensured? The Court Officer will draw the Panchanama of the items seized by him and he will take 2 signatures from independent witnesses and after taking the physical possession of immovable property, the Authorised Officer should fix a board at the site giving the full description that under the Securitization Act, this property has been attached by the Bank (name of the Bank, Address of the Bank must be specifically mentioned) and a notice preferably on a metallic sheet must be fixed at the premises properly fixing the nail and preferably a photo must be taken of the site after fixing the Bank’s name plate. The Authorised Officer must also put the Bank’s lock to the premises and he should safeguard the property as if he would have done if it had been his own property. In certain cases, the property may be of very high value and then the Bank may even engage some Security Guards to safeguard the said properties till such time the properties are disposed off. If it is a moveable property, what action is to be taken? If it is a moveable property, the Court Officer, will take physical possession of the property and make a Panchanama with two witnesses and an Authorised Officer must …………… properties to an Official and go down or post security guards at the site to safeguard the property of the Bank. Under the amended securitization Act after getting the notice under section 13, within what period the objections/representations can be made by the Borrower and Guarantors? It should be done within a specified time limit of 60 days, which is shown in the notice under Section 13 of the Act. Before expiry of 60 days after getting the notice, they should make a representation/objection in writing, and the Authorised Officer must reply by giving proper speaking order within 7 days of such representation. This reply must preferably be drafted by a Legal Man so that from reading of the reply, it must be seen that justice is not only done, but also appears to have been done by the Authorised Officer. Just rejecting the representation may result into invoking Article 226 & 227 of the Constitution of India by the borrower and the High Court in a Writ may interfere, thereby action under Securitization Act will be delayed and unnecessary legal expenses will have to be incurred by the Bank. Can the property of Guarantor be attached? Yes. You can attach the Guarantor’s property as long as Bank has the charge on that property and such properties can be attached irrespective of belonging to the borrower or guarantor. What is required is that the property must be charged to the Bank and while issuing notice of 60 days, you ensure that the borrower as well as the guarantors is served with Sec.13 Notice, without exception. Valuation is done for what and for whom? When is it done? The valuation exercise is ordered by individual owner, by companies or firms, by Government department, organisations, institutes etc. Valuation is an excellent tool in the hands of managing authorities to determine, from time to time or at a given specific time, the value of a specific asset owned by them. Again this value is determined in relation to particular/Specific purpose and is done in context of particular time period. Therefore the valuation exercise is described as an exercise which is time frame related and purpose oriented. Is valuation different from Costing & Pricing? Valuation is quite different from pricing or costing, because value is an assessed worth of an asset (expressed in prevailing monetary terms) in context of a specific purpose and particular time period. This purpose determines the variety of factors that influence an asset’s value and since number of these factors stem directly from a given state of economy prevailing at “that time” the valuation becomes purpose oriented and time frame related exercise. Pricing or costing is qualitatively different. First of all, costing to a great extent is an exact science where costs, processing, labour, administrating, marketing, promotion etc. are fairly well defined and methods of calculating are generally well known and accepted. Whereas in valuation the determination of assets’ worth in relation to given need and at given period of time are exercises which only a prudent, experienced and well exposed expert valuer can undertake. In fair market value the market forces play a predominant role. In Market there are alternative options available to both buyers and sellers. In such a situation, if there are no overriding reasons to force any decision for a buyer to buy (from particular seller) or for a seller to sale (to a specific buyer at a given price) where buying / selling both acts are not influenced by any uncommon market conditions such as hyper inflation or undue, uncommon depression, then the value at which an exchange takes place is termed to be a ‘Fair Market Value’. What is Time Related Value? Conditions in a given market or general economic conditions are normally subject to variety of changes. At times, these changes are volatile. The flux of ups and downs is constant. But, during a given period of time the changes go through a sort of pattern (either up or down). These patterns for that period of time are termed as ‘market trends’. But, when changes become volatile they become unpredictable. The valuer, when he is called upon to determine the worth of a given asset at a given period time (such as the value of a farm land as on 30th April 2004 or some such date) has to know the market for land prices trend of that region, during that period of time. This is one simplified example of ‘Time Related Value’! What is meant by value added services? How does one add value to service? An Appraiser – Valuer who has performed the required valuation exercise and determined the worth of specific assets, when he offers to perform more services, genesis of which is his basic valuation skills, then these become value added services. This simply means that a valuer, because of the expertise that he possesses as valuer is in a position to offer further service directly linked to his valuation expertise/exercise. Can there be valuation of liability? Valuation exercise is normally undertaken for asset values only. As far as the assessment of a liability is concerned, it is the present that will only suffer by paying for it. But there is a term ‘Consequential Damage’ included in larger calculation of liability which is predicting future results from certain present acts, happening etc. If one is called upon to assess this likely liability, it may be termed to be valuation of liability. But, normally the valuation exercise is concerned with valuation of assets only. Which is the Act that governs the relationship between Agent and the Principal? A separate Act, the Power of Attorney Act 1882, deals with the Power of Attorney. It is a small Act with 5 sections. But Indian Contract Act 1872 which deals with agency is applicable to the Power of Attorney, as the Power of Attorney Holder is an agent of the principal. Who is an agent, Principal ? An agent is a person, employed to do certain acts for another person or to represent such another person, while dealing with third persons. The person on whose behalf the agent acts or whom the agent represents is called the principal. 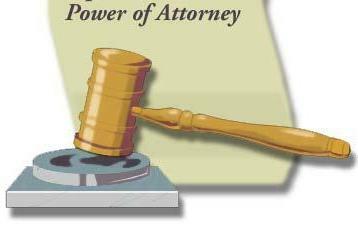 The donor of Power of Attorney is the principal and Power of Attorney Holder is the agent. What are the requirements of a Principal and agent ? The principal should have attained majority and should be of sound mind. Likewise, the person to be appointed as agent should also be a major with sound mind. Though the Section 184 of Indian Contract Act stipulates that as between principal and agent any person may become an agent, but age and sound mind are important because a minor and a man of unsound mind cannot be responsible for his Principal. Further, as between the Principal and third person the act of an agent is deemed to be act of the Principal. As such the Power of Attorney Holder and principal should be majors and of sound mind. Whether an agent can appoint another agent? Whether a Power of Attorney Holder can appoint an another Power of Attorney Holder? The generally accepted principle is that an agent cannot appoint another agent to do acts, which he has to perform. So a power of attorney holder cannot appoint another power of attorney holder. This is well expressed in maxim “delegate non potest delegare” which means a person who is delegated with certain powers cannot delegate such powers to a third person. But Section 190 of Indian Contract Act has provided certain exceptions, whereby a sub-agent may be appointed in certain circumstances, a power of attorney holder may appoint another power of attorney holder in similar circumstances. (1) The nature, custom of the trade is such that it requires the appointment of sub-agents. (2)The terms of agency and the terms of power of attorney provide for appointment of sub-agents. Who is a Sub-Agent ? A Sub-agent is a person employed to act under the control of original agent. The relationship between original agent and sub-agent is that of principal and agent. What is the relationship between the Original Principal and the Sub-Agent ? A Sub-agent, if properly appointed in terms of the agency to meet the requirements of the business, binds the principal for his acts with the third person. The agent is responsible to the principal for the acts of the sub-agent. The sub-agent is responsible for his acts to the agent and not to the principal except in case of fraud or willful wrong. What is the responsibility of the agent who employs a sub-agent without authority ? When an agent appoints a sub-agent without proper authority, the agent is responsible for the acts of the sub-agent to both the principal and to third person. The principal is not responsible for the acts of the sub-agent, nor the sub-agent is answerable to the principal. Whether the principal or donor can cancel the agency, power of attorney ? The Principal or donor may cancel the agency or power of attorney with due notice. Further proper notice should be given to the public. Such agency also gets cancelled, when the work for which agency was granted is completed, or by the death of the principal/donor, agent or any of them becoming of unsound mind or insolvent. However if the agent himself has any interest in the property which is the subject matter of agency, it cannot be cancelled, unless the agent agrees. Further, the principal cannot cancel the agency, after the agent has partially exercised his authority. 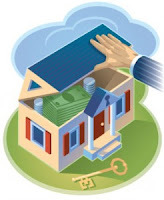 In case of power of attorney given to sell the property, if the power of attorney holder has entered into a sale agreement in accordance with the terms of power of attorney, the donor cannot cancel the power of attorney until the sale is completed; the sale agreement is binding on the principal. It is not uncommon that we have a tendency to do stumble upon publication of notices in news papers regarding the property transactions. The explanation for such publication is to form proverbial to all or any involved that a specific property is beneath method of purchase by the publicist and to provide a chance to the affected party to lift objections, if any, against such purchase. For peaceful possession and delight of the correctly the customer needs to excise proper care and diligence to make sure that property purchased by him is free from encumbrances, charge and legal proceeding. Any laxness on the part of customer to once and for all establish on whether or not the seller has sensible and marketable title and also theproperty is free from encumbrance would land the customer in uncalled for litigations however also monetary strain. At the starting time, it should declare that supply of Public Notice in respect of purchase of an immovable property isn't a statutory demand. There’s no exhausting associated quick rule on the procedure an intending customer needs to adopt to search out whether or not the vender includes a valid and marketable title and therefore the property is free from encumbrance. The charge or encumbrance created beneath an unregistered document on the property can't be discovered from the documents getable from the registering or municipal authorities. Charge created by deposit of title deeds, unfinished charge or transfer of property beneath a can would represent this class. to shield the interests of the customer upon purchase of the property and to avoid litigations, commonly public notices are taken enter leading and wide circulated news papers notifying the intention of the customer to get the property in question so the persons who have a unconditional interest within the property may place forth their objections for such sale supported by documentary proof. Such notices are usually revealed forthwith when going in an acquisition agreement with the seller in 2 dailies, one in English language daily and different in an exceedingly vernacular language daily that have wide circulation within the space wherever property is settled. The notice acts as associate data or data or a caution to all or any the involved to facilitate them to require such steps as are necessary to shield their interest. A notice shall contain the intention of the purchase, description of the property with boundaries and therefore the reality of execution of the sale agreement, if any. The notice invites the general public having interest within the property to file objections are received among the stipulated time, the sale method can the proceed with treating the property as unencumbered with a transparent rider clause that objections received when the stipulated time won't be acted upon. The notice should spell enter clear terms the intention of the party with no ambiguity some. It is to be notice that supply of Public Notice will at the best be termed as a preventative step since it as no binding force on anyone having interest within the property to act in an exceedingly explicit manner. The interest party might not act fleetly in terms of the notice associated enforce his right over the property at an opportune time. Further, there is each like hood that the general public Notice could go disregarded by the affected party but, the general public notice would function an intimation to the general public that the customer includes a bon fide interest in the property and therefore the interest parties, if any, for the aforesaid sale dealings. The customer in his own interest needs to get the objections scrutinized by associate old advocate having information in property matters so he will avoid the probably litigations and embarrassment at a later when the acquisition. Section 55(1) of the Transfer of property Act. 1882 makes it necessary that the vendor is guaranteed to divulge heart's contents to the client any material defect within the property or within the seller’s title there to, that the vendor is and therefore the purchase isn't aware and therefore the customer couldn't with care discover such defect, however the vendor for obvious reasons might not really disclose all the defects within the property or within the title. Thus it's advisable that the customer of the property ought to verify and create of all the avenues obtainable to him to search out that the property into consideration is free from encumbrance and therefore the vender includes a sensible and marketable title. The Transfer of property Act. 1882 puts some ones on the acquisition and insure cases the customer its deemed to possess notice of encumbrance, Section three of Transfer of property Act defines Notice? Someone is alleged to possess notice of a reality, once he really is aware of the very fact, or once except for willful self-discipline from a pursuit or search that he need to have created. Or gross negligence, he would have proverbial it. Per clarification I to sec..3 wherever any dealings relating thus unmovable property is needed by law to be registered and consequently registered, somebody getting such property or any a part of or share or interest within the property shall be deemed to possess notice of such instrument from the date of registration. The reason. If to sec.3 declared that somebody getting any unmovable property or any share or interest in any such property shall be deemed to possess notice of the title. If any of somebody WHO is for the nonce in possession there from. Further, clarification III to sec.3 states that person shall be deemed to possess had notice of any reality if his agent acquires notice there from while performing on his behalf within the course of business to that that reality is material so notice can be classified into (1) Actual notice once someone has the information of actual reality, (2) data is obtainable on correct enquiry and search, and (3) Notice to the agent of the customer, wherever the data is given to or received by the agent within the course of his standard duties, whether or not be communicates it to active partner of a firm has impact of notice of the firm. It is obligatory on the part of the customer to form certain that this vender includes a clear marketable title of the property is free from encumbrance. Most of the encumbrances could also be discovered by verification of records at territorial sub - registrar’s workplace and on verification of the customer to recorded registers of territorial sub-registrar’s workplace. Registration of a document operates as notice as notice and possession of the property by someone apart from the vendor also operates as notices. Therefore, it'd be safer that the customer shall visit the property to determine whether or not the property is in possession of the vendor. just in case the property is in possession of someone apart from the seller, It ought to be confirmed whether or not the occupier can vacate the property before registration and therefore the vender has each right to urge the property vacated from its occupants since the particular Relief Act 1963 acknowledges the possession as a notice and there are instances wherever properties are chartered, however lease deeds aren't registered. Though not a legal demand, Public notice concerning purchase of immovable property would vastly profit the customer since the customer shall come back to applicant over the property into consideration and if any objections to the dealings are received, the customer could request the seller to delineated the problem before finishing the sale dealings or within the different he could cancel the deal. What are Annual/ Monthly reducing Balance? Reducing balance means the time at which interest is calculated and applied to a Loan account. Repayment of home loan is by way of equated installments paid every month. But housing finance companies adopt different modes of adjusting these monthly repayments towards the Loan account and to bring down the Loan amount due. In annual reducing balance method, the monthly repayments received from the Borrower are kept in a suspense account and transferred to the Loan account only once in a year generally on 1st of April.To be more clear, if your Loan amount as on 1st April, 2008 is Rs.5,00,000/- and you pay monthly installments of Rs.10,000/-, your entire payment of Rs.10,000 X 12 = 1,20,000/- will be adjusted towards Loan amount only on 01/04/2009 and interest from 01/04/2008 to 31/03.2009 will be calculated on Rs.5 lakhs. This works out very costly as you will be paying interest on Rs.5,00,000/- for the entire 12 months. In case of monthly reducing balance method, the repayments are credited to your Loan account on a particular day in a month, though you would have paid the installment much earlier to that date. If some particular housing finance company has fixed 15th of every month, for such adjustment, and if you pay on 5th of every month, your Loan amount gets reduced only on 15th of that month. Most of the housing finance companies have shifted from annual reducing balance method to monthly reducing balance method.The most preferable mode of payment of EMI is daily reducing method, where under your Loan amount gets reduced on the very day of your repayment. What is fixed and floating rate ? These are two different modes of interest calculation. Floating rate is also called as Variable rate. In fixed rate, the rate of interest is fixed and will not change in the entire period of the Loan. Fixed rate will be higher than the floating rate, as it is not affected by market fluctuations.In floating rate or variable rate, the rate of interest changes depending upon market conditions.It may increase or decrease depending upon the change in the market conditions. The repayment period also varies, but equated monthly installments remain the same. Presently, floating rate is most favoured by lending institutions.If the repayment period is more than five years, it is advisable to prefer fixed rate. What is flat rate of interest ? In flat rate, the interest is charged on the full amount of Loan for the entire period, irrespective of your repayments. If you have availed Loan of rupees ten lakh repayable in ten years, interest will be charged on rupees ten lakh for all the ten years, ignoring your repayment. What is fore closure fee ? This is a fee charged by the bank / financial institutions if loan account is closed before the agreed period.If the bank and borrower have agreed for a repayment period of five years and contrary to such an agreement, the borrower prefers to close down the loan account at the end of the 2nd year, the bank imposes some penalty to compensate the loss of interest to the bank. Such penalty is called fore closure fee which is generally 1% of loan amount outstanding. What is pre – EMI interest ? Home loans are repaid in monthly installments, which are called as equated monthly installments.Normally, payment of EMI commences after the entire loan amount is disbursed.In case of purchase of a house, entire loan component is disbursed at the time of Property registration. In case of construction, loan will be disbursed in stages based on progress of construction and final installment on completion of construction and then the EMI commences.The interest accrued on the loan amount until the final disbursement is called pre-EMI interest which has to be paid by the borrower before the commencement of EMI. For what purposes housing loan can be availed ? What is UDS or undivided share of land in an apartment complex? This is the right of a flat owner over a part of the land on which an apartment complex is constructed which is not ear marked on the location. The share of land has no specific boundaries in the total extent of land. The owner of a flat can only enjoy the right over the UDS along with other co- purchasers offlats in an apartment complex. How to calculate the undivided share of land (UDS) ? The UDS is calculated as – Individual apartment ‘s super built up area divided by the sum of all apartments’ super- built up area multiplied by Total land area. In other words the sum of all UDS will be equal to the total land area of the apartment complex. For example – assuming a four flats in one apartment of equal sizes, of say 1000 sq.ft built up on an extent of land of (2400 sq ft (i.e., in a 60’ x 40’ site ). Here, two elements are involved namely the cost of construction of apartment (i.e, material, labour etc., and the other part is the UDS or the undivided share of land to each apartment owner. While buying the flats the buyers must ensure that the UDS is allotted and mentioned in the Registered Sale Deed to avoid future complications. UDS = 1000/4000x2400= 800 sq.foot which means each apartment buyer has got right over the this UDS in the total extent of land. What is the importance of UDS? Buying an apartment involves buying of UDS along with the super built up area of an apartment. As the time elapses the value of the built up area in apartment decreases whereas the value of the UDS will increase. Suppose, after 30-40 years the building becomes too old or becomes unusable due to natural calamities, the entire complex has to be demolished for redevelopment. In that circumstance the owner of a flat will get a flat in the redeveloped project proportionate to the undivided share of land he actually owns. Also, the more the share of UDS the flat buyer will get more profit, as the land purchased today may appreciate in value by more than 50 to 60 times over a long period of time. Whether a flat buyer can mortgage his (UDS) undivided share of land alone in an apartment complex? No. The UDS alone cannot be mortgaged alone. As it is interlinked to the super built up area of flat in an apartment complex. However, a flat owner can mortgage his flat along with the UDS. What is the difference between UDS and co-ownership? Both are similar. All the apartment owners in a complex are entitled to UDS in the land area where the apartment complex is constructed. All the owners are considered as co-owners and have equal rights. Where the builder has violated the Building plan , can a flat purchaser claim proportionate undivided share on FAR (Floor Area Ratio) ? If the builder has violated the building plan and constructed extra flats, floors the purchaser of the flat will get lesser UDS share than proportionate his flat’s super built up area. Hence, the buyer of flat must be careful and check what is his undivided share of land and whether it matches with the FAR. Whether a person can only buy undivided share of land of a flat in the apartment complex? No. A person cannot buy only UDS in a flat. However, he can buy the same along with proportionate construction i.e, flat in the building . Why it is important to be very careful while buying flats? Unlike, buying independent houses the buying of flats is quite a different transaction. In buying flats the buyer will be a co-owner along with other owners in a complex. He, does not enjoy absolute right over the property like independent houses. Further, to utilize maximum land space some of the builders violate building plans and construct illegal floors. At times the builders may allot a less land share (UDS) or they may not mention the land share in the sale agreement/ deed or even worse the builders themselves claim the land share. Hence, it is important to enquire what is the UDS in flat before buying and also get the land share mentioned in the sale agreement / deed. What is testamentary succession ? Succession to the self acquired assets of the deceased as per his declaration is Testamentary succession. 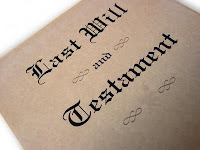 The declaration of the deceased is called WILL, and the person (deceased) is called Testator. The Indian succession Act 1925 deals with the testamentary succession and is applicable to wills made after 1st January 1866 but not to wills made by Mohammadans. Can a will be revoked ? The Will operates only after the death of the Testator, but not from the date of execution. It can be revoked at any time by the testator during his life time. Though the word irrevocable is used in the wills, it does not prohibit the will being revoked. What are the kinds of wills ? There are two kinds of wills, privileged will and unprivileged will. Privileged will is made by soldier, airmen, employed in expedition, or actual warfare and a mariner in sea. All other wills are called unprivileged wills. Only a major, the person who has completed the age of eighteen may make a will, is there any exception ? The general rule is that the testator should not be a minor. But in case of father, irrespective of his age, may appoint a guardian for his minor children, who is called Testamentary guardian. Whether the signature of the testator and attestation is necessary for unprivileged wills ? Signature or mark of the testator is necessary for unprivileged will. In certain cases, it may be signed by some other person in the presence of testator and under testator's direction. But it is always advisabe to have will signed by the testator to avoid any disputes later. Every unprivileged will should be attested by atleast two witnesses, who have seen the testator or his agent sign the will. Each witness must sign the will in the presence of the testator. But it is not necessary that each witness sign at the presence of other witness. Whether stamp duty is payable on will ? No stamp duty is payable on will, hence need not be written on stamp papers. Can a attesting witness be a beneficiary of the will ? As per the Indian succession act, if the testator makes any gift to the attesting witness, wife or husband of the attesting witness, such gift becomes void, the will be deemed valid. But this clause does not apply to Hindu, Budhists, Sikhs, Jains etc., so a legatee under the will of a Hindu will not lose his legacy only because he has attested the will. Copy of the will duly, certified under the seal of a competent Court, with grant of administration to the estate of the deceased is called probate. What is a duplicate will ? A duplicate will is one of which two or more copies are made. If such a copy is signed by the testator, it can operate as the original will. Here a will is executed in duplicate, one of which the testator retains, while the other is deposited in the custody of another, then the destruction of the duplicate, which was in the testator's possession, revokes the will. Who is capable of making a will ? Every person (a) who is of sound mind and (b) who is not a minor, can dispose of his property by will. A married woman can dispose of by will any property which she could alienate by her own act during her life-time. Persons who are deaf or dumb or blind can make a will, if they are able to know what they do by it. A person who is ordinary insane may make a will during an interval during which he is of sound mind. However, no person can make a will while he is in such a state of mind that he does not know what he is doing. Yes, there is provision for safe custody of will as detailed in Indian Registration Act, 1908. The testator, that is the person who makes the will or his duly authorized agent may deposit the sealed cover containing the will with any registrar for safe custody. The cover should be superscribed with the name of the testator or his agent with a statement of the nature of the document. An amount of Rs.1,000/- will be charged as fee. The deposited cover may be withdrawn by the testator or his agent on payment of prescribed fee of Rs.200/-. Yes. But the person concerned would have to obtain approvals, and fulfil the requirements, if any, prescribed by other authorities, such as the concerned State Government, etc. 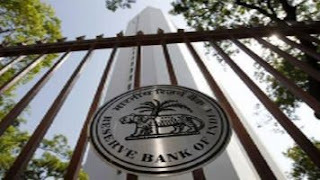 However, a foreign national resident in India who is a citizen of Pakistan, Bangladesh, Sri Lanka, Afghanistan, China, Iran, Nepal and Bhutan would require prior approval of Reserve Bank. Such requests are considered by Reserve Bank in consultation with the Government of India. Yes - A foreign company which has established a Branch Office or other place of business in India, in accordance with FERA / FEMA regulations, can acquire any immovable property in India, which is necessary for or incidental to carrying on such activity. The payment for acquiring such a property should be made by way of foreign inward remittance through proper banking channel. A declaration in the prescribed form should be filed with Reserve Bank within ninety days from the date of acquiring the property. Such a property can also be mortgaged with an authorised dealer as a security for other borrowings. On winding up of the business, the sale proceeds of such property can be repatriated only with the prior approval of the Reserve Bank. Further, acquisition of immovable property by entities who had set up Branch Offices in India and incorporated in Pakistan, Bangladesh, Sri Lanka, Afghanistan, China, Iran, Nepal and Bhutan would require prior approval of Reserve Bank to acquire such immovable property. However, if the foreign company has established a Liaison Office, it cannot acquire immovable property. In such cases, Liaison Offices can take property by way of lease not exceeding 5 years. Can Foreign Embassies / Diplomats / Consulate General purchase / sell immovable property in India ? Yes - Foreign Embassies / Diplomats / Consulate Generals can purchase and sell any immovable property other than agricultural land / plantation property / farm house in India with prior clearance from the Government of India, Ministry of External Affairs. The payment should be made by foreign inward remittance through normal banking channel. If a foreign national is a person resident in India as per the provisions of Section 2(v) (i)B of the FEMA, 1999, does he require approval of Reserve Bank to purchase any immovable property in India ? Can residential/commercial property be mortgaged by a foreign national of non-Indian origin ? A foreign national of non-Indian origin can mortgage only with prior approval of Reserve Bank and a foreign company which has established a Branch Office or other Place of business in accordance with FERA/FEMA regulations has general permission to mortgage the property with an authorized dealer in India.